June, it has occurred to me is going to be a bumper book publishing month. Top titles by top authors will pour into bookshops in just a few short weeks time, in fact some of them in less than a week. But, there are 4 books which I really, really, really, really want in my life, on my shelves and in my hands so i can hug them. Erm, yes well. So what? i like hugging books! What books are these Gill? I hear you cry! Is feminism still a dirty word? We asked twenty-five of the brightest, funniest, bravest young women what being a feminist in 2015 means to them. We hear from Laura Bates (of the Everyday Sexism Project), Reni Eddo-Lodge (award-winning journalist and author), Yas Necati (an eighteen-year-old activist), Laura Pankhurst, great-great granddaughter of Emmeline Pankhurst and an activist in her own right, comedian Sofie Hagen, engineer Naomi Mitchison and Louise O’Neill, author of the award-winning feminist Young Adult novel Only Ever Yours. Writing about a huge variety of subjects, we have Martha Mosse and Alice Stride on how they became feminists, Amy Annette addressing the body politic, Samira Shackle on having her eyes opened in a hostel for survivors of acid attacks in Islamabad, while Maysa Haque thinks about the way Islam has informed her feminism and Isabel Adomakoh Young insists that women don’t have to be perfect. There are twelve other performers, politicians and writers who include Jade Anouka, Emily Benn, Abigail Matson-Phippard, Hajar Wright and Jinan Younis. 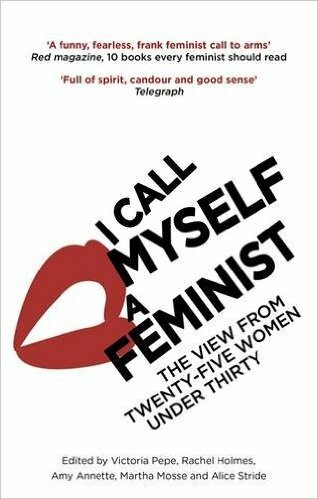 Is the word feminist still to be shunned? Is feminism still thought of as anti-men rather than pro-human? Is this generation of feminists – outspoken, funny and focused – the best we’ve had for long while? Has the internet given them a voice and power previously unknown? Rachel Holmes’ most recent book is Eleanor Marx: A Life; Victoria Pepe is a literary scout; Amy Annette is a comedy producer currently working on festivals including Latitude; Alice Stride works for Women’s Aid and Martha Mosse is a freelance producer and artist. I’ve never really been interested in Feminism before now but its absolutely everywhere on social media right now so I thought it was about time I took a look for myself. Turn down Slade Alley – narrow, dank and easy to miss, even when you’re looking for it. Find the small black iron door set into the right-hand wall. No handle, no keyhole, but at your touch it swings open. Enter the sunlit garden of an old house that doesn’t quite make sense; too grand for the shabby neighbourhood, too large for the space it occupies. A stranger greets you and invites you inside. At first, you won’t want to leave. Later, you’ll find that you can’t. This unnerving, taut and intricately woven tale by one of our most original and bewitching writers begins in 1979 and comes to its turbulent conclusion around Hallowe’en, 2015. Because every nine years, on the last Saturday of October, a ‘guest’ is summoned to Slade House. But why has that person been chosen, by whom and for what purpose? The answers lie waiting in the long attic, at the top of the stairs . . . 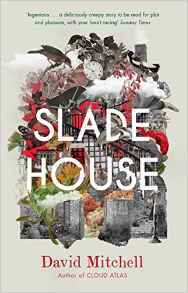 I read a sample of this last year and it blew my socks off so how can i not get this to find out what does happen in Slade House. 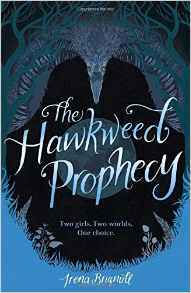 A gorgeous, bewitching story of two outcast girls whose lives are twisted by an ancient prophecy. Who will be queen of the witches? The babies were born as the clock struck twelve. A bat fell from the air mid-flight. A silver salmon floated dead to the surface of the river. Snails withered in their shells, moths turned to dust on the night breeze and an owl ate its young. The spell had been cast. Poppy Hooper has managed to deceive her father into believing that there is nothing mysterious or unnatural about her. He ignores the cats that find her wherever she goes, the spiders that weave beautiful lacy patterns for her, even her eyes – one blue, one green with an extra black dot orbiting the pupil. Ember Hawkweed is a pitiful excuse for a witch. When the other girls in her coven brew vile potions, Ember makes soap and perfume. Fair and pretty, Ember is more like a chaff than a witch. When the two girls meet, Poppy discovers her powers, and finds out the truth. Bound by their unlikely friendship and the boy they both love, the girls try and find their place in the world. But the time of the prophecy draws nearer – and the witches won’t give up the throne without a fight. I came across a mention of this just the other day and it sounds very intriguing plus the cover is not bad either. A baby girl is abandoned, banished from London to the storm-ravaged American city of New Bohemia. Her father has been driven mad by jealousy, her mother to exile by grief. Seventeen years later, Perdita doesn’t know a lot about who she is or where she’s come from – but she’s about to find out. Jeanette Winterson’s cover version of The Winter’s Tale vibrates with echoes of Shakespeare’s original and tells a story of hearts broken and hearts healed, a story of revenge and forgiveness, a story that shows that whatever is lost shall be found. 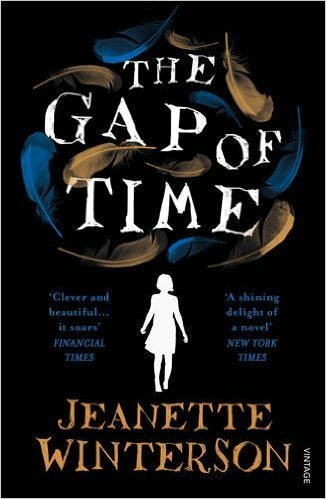 This is part of the Hogarth Shakespeare series of Shakespeares plays re-told and although The Winters Tale is not a particular favourite of mine I just love the idea of a modern re-telling and its by Jeanette Winterson who everyone raves about, so it ticks two boxes for me. What books are you looking forward to in June? Have you read any of these as proof copies?